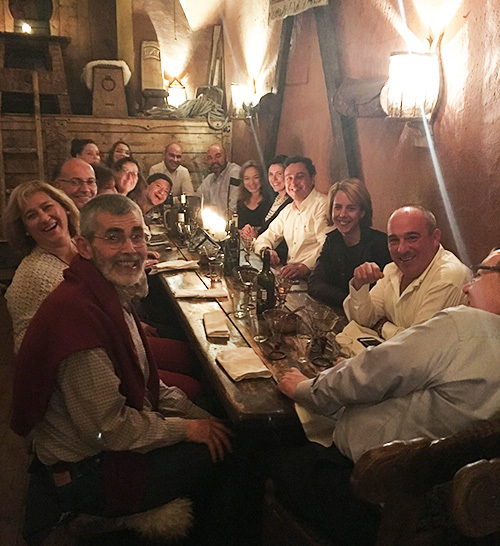 Together with our Spanish partner AECOC, Cosaris organised a study tour to Stockholm for senior delegates from a number of Spanish and Portuguese food retailers and manufacturers to look at innovative retail practices and learn about other markets. AECOC is one of the biggest industry organisations in Spain with more than 28,000 members. The event was organised as one of their regular international seminars. Whilst AECOC covered logistics and promoted the event amongst its members, our role was to research latest trends, identify innovative stores and retail concepts as well as leverage our network to win senior professionals from Swedish retailers to lead us through the stores and answer questions from the delegates. The result was a three day event that helped all sides to learn from each other by sharing experiences and discussing common challenges. One of the delegates was Alain Betancourt, Director of Fresh Products for Carrefour Spain. The Carrefour Group has almost 12,000 stores and operates in more than 30 countries, with sales of €85.7 billion in 2016. “It wasn’t just a good experience, it was an amazing experience. The way Cosaris conducted the study tour was very organised in a friendly environment. The way the stores were chosen was also very interesting. In every store we visited, there was something to take away from it. The social part of the trip, the dinner, the transport; it was all really nice. It was one of the best visits I have ever done. “It gave me the opportunity to find out about different stores in a different way. We were able to connect with the people working in the stores and ask all the questions we wanted to. Rene chose the stores really well so it showed how different they all were. 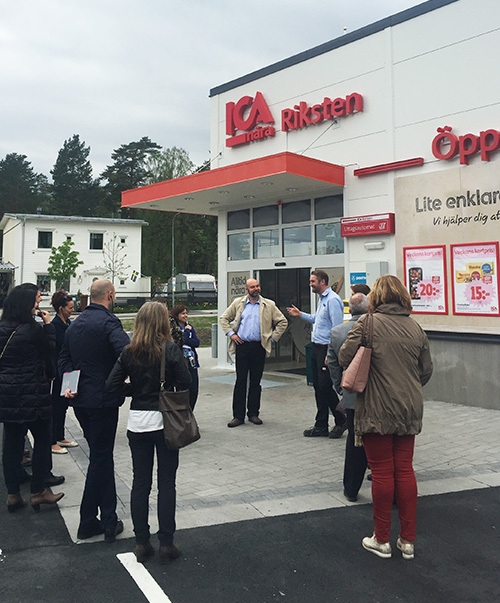 “We discovered innovative concepts we could take away and use in Carrefour. It wasn’t only specific things like displays and layouts, it was also great to get a feel for the stores, how people understand their own stores and their relationships between the workers, concepts, the shopper and the company. “It helped me to see the points where Carrefour is really strong and the points where we are weak. It was extremely useful and I would repeat it tomorrow if I could! “It allowed us to look at the bigger picture. I think we are living in a very disruptive time and it is really important for retailers to understand what the effects of that are. A lot of retailers are trying to do different things. But for me, the most important thing is to be 100% transparent. “Many companies are talking about health or packaging, for example. But as a retailer you need to show what you are doing and be 100% honest about it. I have seen many concepts and models but they are empty, there is no substance behind them. You need to show in every single detail in your store that you really are doing things to improve health, reduce waste or packaging etc. The study tour allowed us to see the different ways we might achieve that.